ACT’s approach to training primarily focuses on changing attitudes, relating concepts, empowering trainees and energizing classrooms such that learning is a joyful experience for the learners. The focus of training will be on using the material in the classroom, relating it to textual content. It will also enhance teacher involvement in class and content. It will provide opportunity for teachers to implement new creative techniques of teaching. The training is a capacity building exercise and hones the talent. The thrust is on building capacity and managing the implementation in classrooms to impact student learning and growth. We have developed around 1000 modules as per the need of the institution to develop their teachers. List of Modules: when the visitor click on the list of modules then the list to be visible. 33. Interdisciplinary approach to teaching and learning. 34. Promoting a culture of innovation in school. 35. Analysis of assessment data to monitor student’s progress. 37. 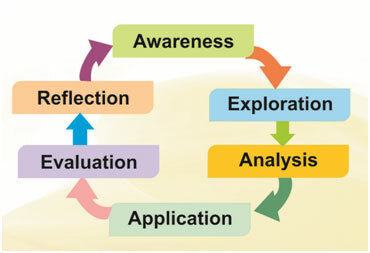 Self‐evaluation and improvement planning for schools. 38. Measuring the progress in students’ social and personal development. 40. Community Development Programmes in schools. 43. Enhancing research attitude and skills among children. 44. Accelerated learning programme for gifted and talented students. 45. Understanding the learner and the learning needs. 46. Differentiated Instruction based Lesson planning/ planning for learning. 47. Creating a positive learning environment. 48. Use of learning technology to ensure a strong momentum to learning. 49. Designing question paper on the lines of standards. 55. Effective remediation strategies in English, Mathematics, Science and Social Science. 59. How to develop an emotionally intelligent school? 61. Creative Clubs activities in school. 70. Beautiful Mind: How to have a beautiful mind?